Energy medicine and modalities are growing in reputation faster and stronger than ever. Why the vast interest and growth? Because they proved to work for an enormous amount of people. As more people search for natural, holistic and non-evasive ways to improve their health, they are educating themselves and trying one or more of the multitude of energy modalities available. The Chinese practice of Qigong is one of the most popular energy modalities and it’s used worldwide. Qi (chee) means breath, air, life force or energy. Gong means work, exercise, practice or cultivation — use the words that resonate with you most. Qigong fuses the breath, gentle movements, grounding, and alignment into a mindful and peaceful practice. I love qigong and have practiced this energy modality for several years. 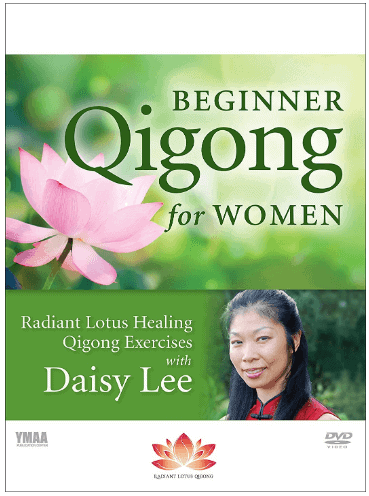 It’s only recently that I learned about a qigong series specifically created for women’s health and self-care called Radiant Lotus Qigong. This program was created by Daisy Lee who is a Level III Advanced Qigong teacher and clinical practitioner. I got to try two of her DVD’s and I really enjoyed the experience. The Radiant Lotus Healing Qigong Exercises feature four groups of exercises, each with their own purpose and effect on the body. These include Shaking & Cupping, Self Massage, Tibetan Vibrational Sound Healing, and Kwan Yin Closing Movement. Daisy walks you through all the exercises with her gentle voice, graceful presence and fluid movements. Before you begin, there are several points to consider, ie. if you have specific health issues and the necessary modifications you should make. The Shaking and Cupping exercises will release toxins, boost your immune system and even increase bone density. The movements in this section will energize the body and shake loose any stagnant energy that has been blocked in your body. You’ll be using only the pads of your fingers and cupped hands over various parts of the body to wake up key pressure points in the body. The Self Massage exercises will smooth out the energy you just woke up with the previous qigong exercises. Massage increases circulation and releases toxins. You’ll use your intentions to sending healing energy to dissolve any intense emotions that no longer serve you and replace it with love and light. The Tibetan Vibrational Sound Healing exercises use 6 different tones and gentle movements to break down toxins, regenerate cells, support the thyroid gland, vocal power and expression, energizes organs, glands and tissue, and increases circulation. Each of these 6 healing tones will vibrate throughout your whole body from the inside out. The sounds will vibrate light outwards from the bone marrow, through the bones and out through the tissues to be expelled. The key is to take long deep breaths so you can tone longer and feel them reverberate throughout your body. It can be a little challenging at first to do the movements while maintaining your tones, but after several tries, you will get better at it. Kwan Yin Closing Movement is named after the goddess of compassion in Chinese folklore. This exercise routine is like a qigong cool down. The exercises are to remind us to return to inner peace and balance and to give back to ourselves. The movements are gentle, slow and easy to do. The Radiant Lotus Medical Qigong Forms and Acupressure Points are antiaging exercises that balance mind, body and spirit and enhance vital energy, inner peace and bring radiant health to women. There are five different sections, Enhanced Shaking and Cupping, Longevity Qigong, Balanced Movement – Flying Phoenix, Lotus Rises Through the Water and Kwan Yin Closing. Enhanced Shaking and Cupping uses breathwork, body movement, bouncing, tapping and the well of your cupped hand to pull out toxins from deep tissue and brings it to the surface to be removed. Each exercise is to be repeated 9 times. The number 9 is symbolic of luck, longevity and eternity. You’ll experience your qi moving throughout your body, and it’s a wonderful feeling. Longevity Series offers several secret antiaging exercises that are easy to master. They will help you ground your lower Dantian and help your body finds its equilibrium and balance. The Arm Swings exercise will increase shoulder mobility. The Squeezed Perineum exercise will strengthen the bladder, abdomen and increase bone density. The Swing Legs exercise will increase lower body strength and support stability. Secret code: energy. Balancing Movement – Flying Phoenix is ideal for both men and women who are out of balance, stressed and in need of recentering. These graceful balancing exercises will help you bring your energy back to your core. Lotus Rise Through the Water is symbolic of women rising above life challenges that cross their path. This exercise is fluid, gentle and refreshing. Kwan Yin Closing Movement is about closing the energy by placing your feet together and doing gentle movements. 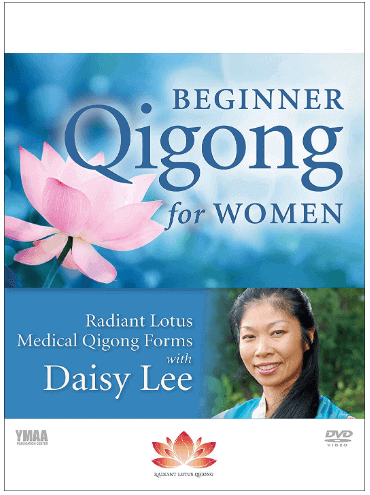 If you haven’t tried Qigong before, or are looking for new routines, Daisy Lee’s DVDs are perfect. You’ll feel energized, balanced, aware, aligned and immensely peaceful. The more you do these movements, the better you’ll feel. I am interested in natural ways to improve my health. I’d like to win this for my sister in-law. I’d like to win for my daughter. I would like to win because I am curious to find out what this is all about and try something new for health. I like to learn more about this type of healing. This looks really interesting! I need to do more gentle exercise. To tell you the truth, I have never even heard of this before. Now that I’ve read about it, I’m fascinated and would love to try it. I would love to win this because it is fascinating. I have MS and anything I can do to improve my well being without medication is of interest to me. I would like to win as I am curious to learn more about this. I want to win this because I am looking for a low inpact, gentle workout. I would like to win this for myself to try it out as I need to find a better way to exercise. I like to find natural methods to improve my health. I recently borrowed a Tai Chi and Qigong DVD from the library and found the activities very beneficial. Would be nice to have my own information to refer to whenever desired. I would love to win because I want to learn more about Qigong. Not just for myself but for my whole family could benefit from Qigong! I’ve never heard of Qigong, but I think I could really use it. My stress levels feel off the chart, and I’m always trying new things to balance my mind/body connection. this sounds very interesting…and I am curious and would love to try it. I’ve always wanted to try this and winning this would be a great motivator. I’ve never heard of Qigong before and would be very interested in trying it out. I would be interested in doing the exercises. I am interested in learning about energy medicine. I’ve never heard of this before. I need some gentle exercises for this old body. I’d like to win because this sounds very interesting and I’d love to learn a new hobbie. I would like to win this because I am very interested in the longevity section. Would definitely be interesting in learning more about Qi-Gong! Daisy Lee is phenomenal! First learned of her last year on The Shift Network’s Qigong Summit. Qigong has changed my life. Would love to learn these forms, I’m a big advocate of qigong. I am always looking for something new! This concentrates on my age group. I once went to a Tai Chi class. Sadly we moved but this looks like a fun replacement. I’d love to learn ways to relax! Wow, love this giveaway! I’ve always believed in natural healing and would be so happy to learn how to do this. It would benefit me in So Many ways! Thank you for the chance! I’ve experimented a little with qigong on youtube, at the suggestion of my occupational therapist, and I really enjoy it. These look like great disks. I want to do this to work on controlling my stress. This looks perfect. I have never heard of Qigong before. Would be interesting to learn and try. I’d love to learn qigong but didn’t know where to start. This sounds perfect for me. This is something interesting that I know nothing about. I have never tried Qigong before, but have heard of it. And since I’ve lost some weight this year, I’ve been looking for some new exercise activities to help me continue to get in better shape and release stress. Very informative on natural health. Because I want to win the color-changing sunglasses! this would be neat for health, too. I’d love to win this because I believe in natural, holistic and non-evasive ways to improve my health. I’m interested in exploring this! I believe this could help me so much with my stress and bring some better balance into my life. I want to win this because I’ve heard qigong is good for improving balance, something my Mom has a problem with. She’d never go to a class, but I know she and I could do this at home. I like to learn new things. I’d love to win because I’m curious about this. This would be amazing for me due to many ongoing physical health issues! Energy medicine is an interest of mine, I would love win to learn more on that and other wellness tips. 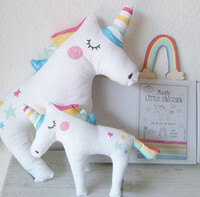 I would love to gift this to someone special in my life! I would like to win because I’d love to learn to relax more. It would help me keep my body in good shape. My mother has been recommending Qigong to me for 2 decades. Now that I am experiencing chronic health issues I have more interest and reason to try this and make it a daily practice. I have watched Daisy Lee speak and demonstrate some of the qigong practice with just enough of a small snippet that I want to know and learn more! Her voice really is calm, soothing and gentle. I believe these DVDs contain a wealth of information to work with energy, intent and body awareness. I want to win this so I can learn about Qigong.